How would you fancy living here? If you have read my blog, you will know how I fell in love with this house, this crazy unique house tucked away in the heart of Dulverton, in the beautiful Exmoor National Park. You will know how devastated I was when we lost it (when our buyers pulled out at the last moment) and then how Fate pulled everything back together a year later when all hope was abandoned. We moved into a wreck of a place - untouched since the 1970s - and carefully, lovingly, restored it and refigured it. It is an eccentric place - with dungeons (kind of) and turrets (sort of) and even a baronial hall (ish). And yes, there is the Loo of Doom and the Cellar of Despond. There's still a few things that need finishing off but most of it is just plain lovely. I love it but it’s time to move on. Time for someone else to take on the magic and make it their own. It’s an expansive house. The core is Georgian and we have absolutely masses of original documents charting its past (quite quite fascinating). 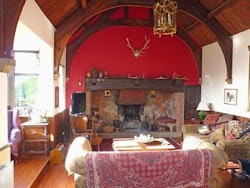 Extensions were added in an Arts and Crafts style and then, in the 1930s a crazy music room was added on the end. We opened up downstairs so now there’s a large kitchen (with cabinets hand-made by a local cabinet-maker), a graceful breakfast/dining room and the Oak Room as a huge sitting room (the erstwhile music room). Across the hallway there’s a lovely room that was originally the dining room (now my capacious study) and a large utility/laundry room (the original kitchen). At the back of the hall there’s a long cloakroom and the former pantry (which would make a great downstairs wet room). Up the stairs and there are four bedrooms (all good double-sized), a bathroom, a separate loo and a shower room. 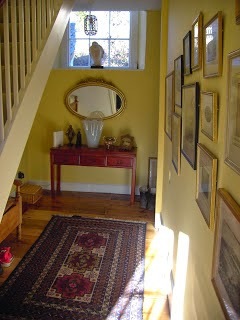 A hatch leads to the loft area which runs the length of the house. At one point we pondered adding another staircase and making the loft into a separate living area (the builders said it’s totally do-able) – would be an ideal space for children or teens, or indeed a great office area (or just extra bedrooms). So many possibilities. There’s one cellar by the front door and another beneath the hallway. Originally there was a staircase to this from the hall and, if you wanted a wine cellar, it could easily be opened up again. Outside there’s a large secluded garden in three segments – there’s a spinney to one side of the house (with an arched entrance – quite magical). 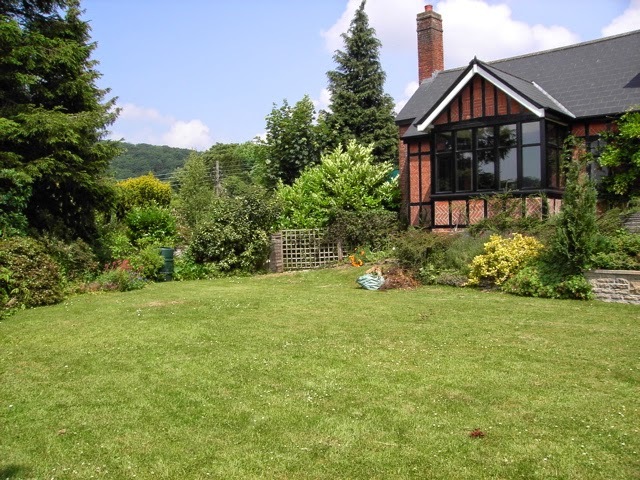 The main garden has a large expanse of lawn (perfect for mini cricket matches) with a pond and mature planting. 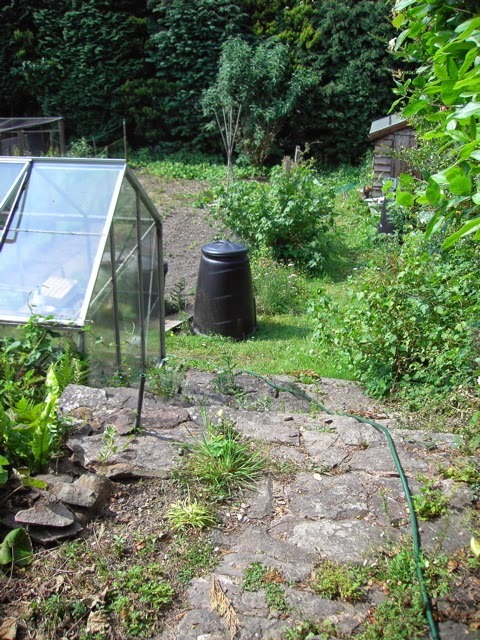 Then, down a few steps, there’s a further area of vegetable garden with fruit bushes, shed and greenhouse (needing repair). We also have a double garage and private parking area (for up to six cars) to the side of the house. It's a tough call - do I love this place most in winter (when the fire is roaring and it's all cosy and comforting) or in the summer? The last few weeks I've been revelling in the sunshine, flinging open the doors and windows and letting the heady scent of the roses, jasmine and honeysuckle waft through the house. The people who owned the house before us were keen gardeners and planted with care - everything around the house itself is fragrant (the wisteria is heaven in spring). The terrace is the perfect place for breakfast - one corner catches the morning sun. Equally it's ideal for sundowners - the garden faces south-west so gets sun all day and right into the evening. Truly, it's pretty heavenly. But, during the day, whenever I can, I grab a rug and throw myself down onto the grass. The SP joins me, of course, and we read a book, or just snooze or muse, down by the pond, hidden by the fuchsia and irises. 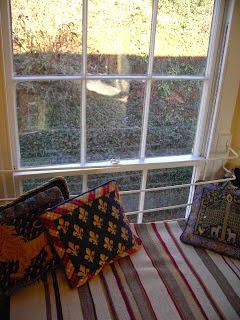 The bliss of this place is that, although it is nearly in the centre of town, it's totally secluded and private. I suppose our neighbours could look in, if they hung out their windows at an odd angle, but it's unlikely. And the views are fabulous - over to the woods and fields on the other side of the valley. It's not just me - Adrian has been taking his laptop out and working on the table on the lawn. 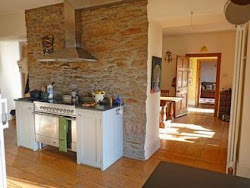 Unique and magical four bedroom house in Dulverton, Somerset - within the Exmoor National Park. 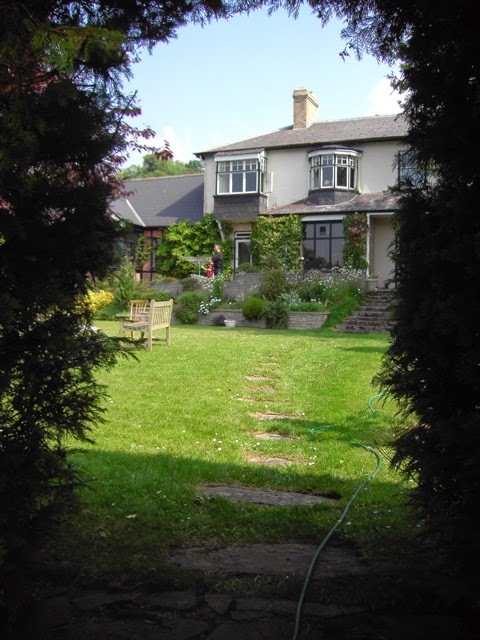 Large secluded garden and vegetable garden; garage and parking. The house was originally the larger part of a sporting hotel and downstairs boasts a vast 'music' room, alongside modern kitchen; breakfast/living room; dining room/study; utility and pantry; hallway cloakroom. Upstairs are four bedrooms, bathroom, loo, shower room. There are two cellars and, of course, the infamous Loo of Doom at the bottom level. Rare opportunity to buy a house right in Dulverton with total seclusion, wonderful views, parking for several cars, and a large garden.